If you're in the Travel Trade, we'll be delighted to assist with the provision of coach travel services for holiday tours, mini-breaks, educational and activity holidays, express coach services, regional feeder coaches and bus & coach transfers as well as sea and airport coach transfers. Decades of experience in the Travel Trade coach hire sector help us understand and meet your expectations with 24 hour, 7 day a week direct contact, coach availability to your specifications and in your livery, coach drivers in your uniform and more. 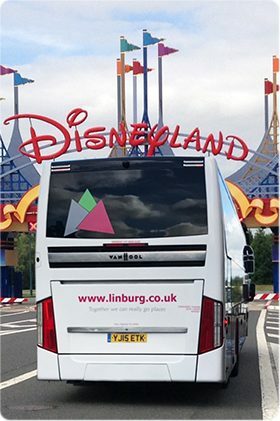 This is another Linburg coach hire service that is available from both our Derby and Sheffield branches. Please call 0114 2619172/01332 554823 or e-mail: info@linburg.co.uk with your travel-trade coach hire requirements.